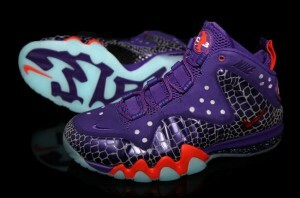 Footlocker, as expected, announced the ticket procedure for the Barkley Posite Max Suns colorway. Tickets will be handed out Wed 5/15-Thurs 5/16 and available for purchase Saturday 5/18. If you don’t get a winning ticket, they will also be available online at the links below 5/18 at 8AM EST.